Chandlers Plumbing is a locally owned and operated plumbing company serving San Jose and the greater Bay Area. We pride ourselves on providing fast, affordable, and reliable plumbing service to both residential and commercial properties. 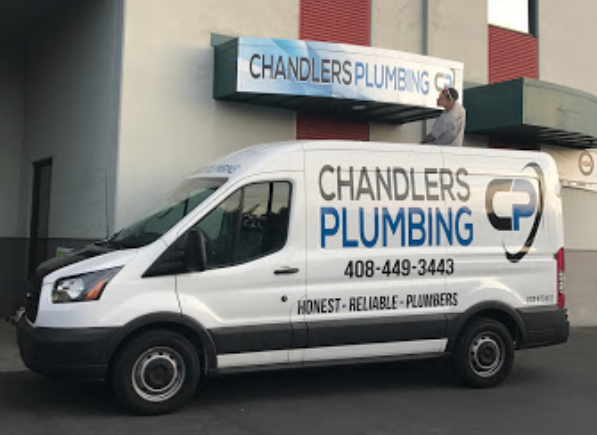 Chandlers is your one call for ALL your plumbing needs! Honest and reliable service that is never rushed. We stand by all our work, with guaranteed service you can recommend. Let us put our 14 years of plumbing experience to use for you! It is our goal to set the bar for high quality plumbing service in the Bay Area. We pride ourselves on quality of plumbing craftmanship, customer service, and fair pricing. Here at Chandlers Plumbing we truly love what we do, we stand by it, and we believe in it. It’s not just plumbing to us, but a philosophy applied to every area of our lives.